Nov. 1, 2018, 1 p.m. The paywall, now more than seven years old, still has room to grow. By Joshua Benton @jbenton Nov. 1, 2018, 1 p.m. The Failing New York Times released its third-quarter numbers this morning and, well, if the rest of the news industry was doing this well, we could shut down Nieman Lab and grab some worry-free beach time in warmer climes. 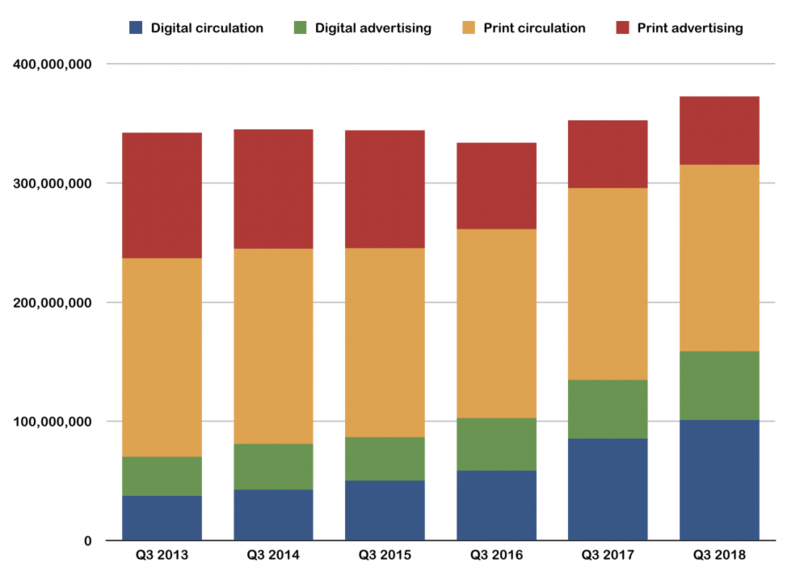 Its ongoing transition from print to digital revenue has been managed without the staffing disruption just about everyone has seen, and it continues to see significant jumps in paying digital subscribers, seven years after launching the paywall and two years after its initial Trump bump. It’s doing fine. Take 98 percent of whatever energy you devote to worrying about the future of the Times and rechannel it into worrying about your local daily, which is very likely approaching existential crisis. The Manhattan-based news-and-crosswords concern now has 2.54 million paying digital news subscribers, with another half million for its various other non-news products. Digital subscription revenue topped $100 million for the first time in a quarter and it’ll likely hit $400 million for the calendar year. Throw in another $200 million-plus or so from this year’s digital advertising haul — which has basically been flat year-over-year — and the Times will likely pass $600 million in digital revenue this year. In red, you can see the major shrinkage in print advertising revenue — which not that long ago generated about 80 percent of all dollars in the entire American newspaper industry. Over this period, it’s dropped about 45 percent, despite the Sunday Times being probably the strongest print product in the country. In orange, you can see that print circulation revenue has been largely flat — it’s down only about 6 percent over this span. The number of print subscribers continues to drop drop drop, but the Times, like other papers, has made up most of the difference by raising prices. In green, you see what I consider the biggest disappointment of the past decade — digital advertising. The overall digital advertising market has skyrocketed over this period — up roughly 150 percent according to eMarketer — but publishers have gotten an ever-shrinking slice of that pie. (Most of the pie goes to Google and Facebook, which in my opinion have enough pie as it is.) So digital ad revenue is up, but it’s still a small part of the overall puzzle. POSTED Nov. 1, 2018, 1 p.m.
Benton, Joshua. 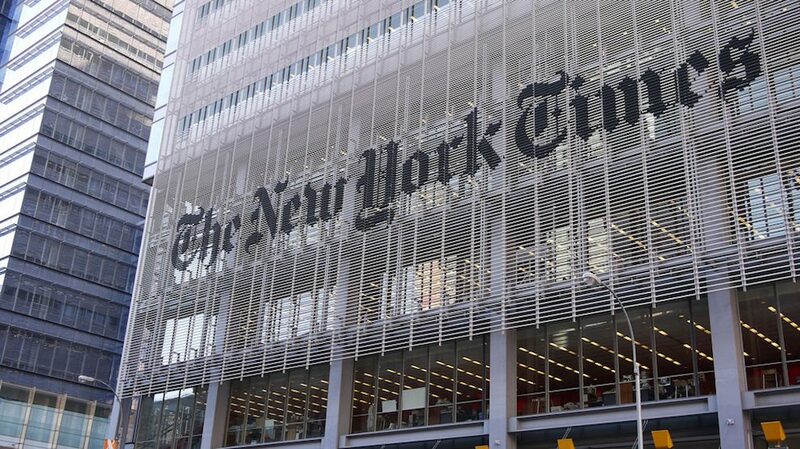 "The New York Times is on pace to earn more than $600 million in digital this year, halfway to its ambitious goal." Nieman Journalism Lab. Nieman Foundation for Journalism at Harvard, 1 Nov. 2018. Web. 18 Apr. 2019. Benton, Joshua. 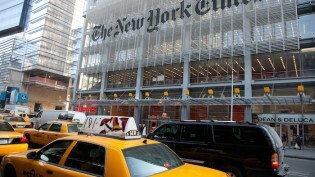 "The New York Times is on pace to earn more than $600 million in digital this year, halfway to its ambitious goal." Nieman Journalism Lab. Last modified November 1, 2018. Accessed April 18, 2019. https://www.niemanlab.org/2018/11/the-new-york-times-is-on-pace-to-earn-more-than-600-million-in-digital-this-year-halfway-to-its-ambitious-goal/.